California crossed a major milestone Jan. 16 with the final approval of the state’s permanent commercial cannabis regulations. 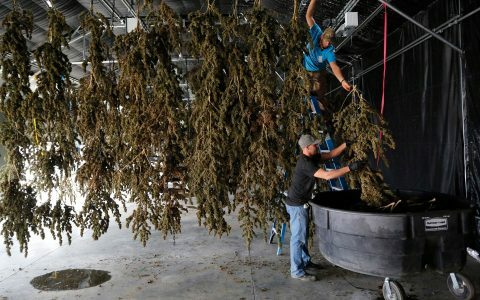 Effective immediately, the Golden State’s thousands of licensed farms, retailers, edibles kitchens, and testing labs must follow 358 pages of now-final rules. Most businesses had been following temporary “emergency” rules, but the state’s final rules have been rubber-stamped by the Office of Administrative Law, the last step before they take effect. All Californians 21 and over can access legal cannabis in the form of legal statewide delivery services. There are more than 100 state-licensed “non-storefront” delivery companies. California is unique among all ten legal states in allowing statewide delivery. Washington doesn’t have it. Neither do Oregon, Nevada, Alaska, or Massachusetts. There’s little question the decision will be good for consumers—and not just the ones in towns that ban dispensaries. Instead of a limited number of local shops, consumers can compare price and quality among dozens of deliverers. “This is a diverse industry, and consumers deserve diverse vehicles by which to gain access,” said Josh Drayton, communications director for the California Cannabis Industry Association. Drayton said he’s never heard any retailer complain about the rule. He noted that the CCIA’s Retail/Delivery Committee expressed unanimous support for the rule. “We’re more focused on the competition of the illicit market, as opposed to licensed operators,” he said. Statewide delivery gives consumers a better option than the illicit market, which thrives because about three-quarters of California municipalities ban licensed cannabis stores. Allowing delivery statewide also makes it easier for medical cannabis patients to get the relief they need. Opponents of the rule might go to court to have it nixed. But it’s not clear a lawsuit would succeed. The state “would not have gone this far without feeling sure of their legal footing,” says Mikalonis. Some local retailers, regulators, and other groups don’t want statewide delivery. Outside delivery mutes the effect of local oligopolies that many cities tried to erect. The most vocal opponents of the rule are the League of California Cities, the California Police Chiefs Association, and the United Food and Commercial Workers Western States Council, which counts a few cannabis retail workers among its members. The League wants cities to have total control, but state regulations on delivery are pretty tight, especially regarding security. Cities also still control the time, place, and manner of deliveries — and can demand extra security on top of the state’s rules. Police groups believe allowing pot deliveries will increase crime, though they haven’t demonstrated why they think so. And some unionized cannabis stores did not want to compete with statewide deliverers. California consumers love to carp about child-resistant packaging. The difficulty of opening! The tons of trash junking up the environment! Well, keeping kids away from THC is here to stay. The final rules mandate child-resistant packaging — at minimum that means a large, opaque, $1 zip-lock “exit” bag filled with your goods. Individual cannabis product packages like candy bars need not be child-resistant until Jan. 1, 2020. It’s confusing, “but once 2020 hits, all items will need to be in a child-resistant package before it goes to retail and there will no longer be a need for child-resistant ‘exit’ bags,” notes Jennifer Price, director of state compliance at Golden State Government Relations. Pro tip: Re-use your exit bags to save a buck and help the environment. And read the packaging’s directions to open. Labeling and purity standards for cannabis will stay super-strict under final regulations. Consumers can expect more of the cleanest flower, tightly dosed edibles, and purest extracts ever. But those rules will add costs and limit some supplies as growers, chefs, hash-makers, and labs ensure a clean supply chain. On Jan. 1, 2019, tighter testing rules for heavy metals and toxins went into effect. Some brands that sell disposable vaporizer cartridges filled with extract report that their carts have failed tests for heavy metals. Hash makers don’t think the metal is in the cannabis oil. They blame cartridges from China, which might be failing for heavy metals, said David Hua, CEO of cannabis software company Meadow, and a CCIA board member. “We’re seeing lead be a big issue in some of these cartridges that are coming in from China,” he said. Also, the standard one-gram jar of hash has a plastic cap with an inner liner that industry officials say is causing some hash to fail for purity. Last July 1, shelves up and down the state went bare for weeks as supply chains rebooted to meet strict new lab testing standards. The biggest issue was accurate potency labeling. The new lab rules that went into effect Jan. 1 should not hit consumers as hard. “We’re going to see some issues on the concentrate side, but not as bad as we saw on July 1,” Hua said. Consumers gripe about the state and local taxes that can run 40% higher than the illicit market. The final rules do nothing to curtail those taxes — which can only be decreased by the state legislature. Cannabis tax reform died last year, but is expected to return in this legislative session. California Democrats have a super-majority in the legislature, setting up a fight between tax-relief Dems, and more traditional tax-and-spend Dems. One upside: some local sales and excise tax rates are starting to decline as cities begin to compete for cannabis businesses and customers. Neighboring Berkeley and Oakland are competing on sales tax now. Southern California’s rural cities are advertising zero-percent excise taxes to attract industry. There are no banking fixes in the final state regulations. That’s beyond the power of the BCC. Bring cash, or prepare for high ATM fees, or weird ATM-at-the-register payments. The national banking system is controlled by the United States Department of Treasury, where cannabis prohibition remains alive and well. California and its big cities have proven loathe to start their own cannabis banks. Voters must support the STATES Act in Congress this year if they want to go cashless. Many consumers want those who bore the brunt of the drug war’s negative effects to benefit from legalized cannabis. The state’s final rules allow the Bureau of Cannabis Control to better focus on implementing its $10 million equity grant program to local cities and counties. The BCC will release its application form for cities and counties to get equity grants from a $10 million state fund. Equity and many other system improvements had previously been bottlenecked behind final rules and annual licensing, said Hua. 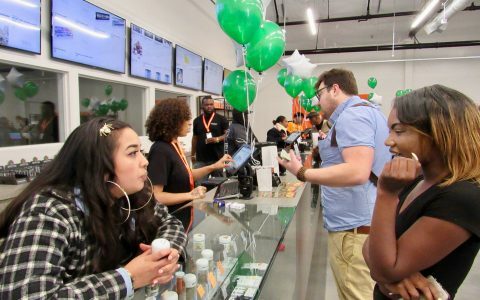 Expect more store openings, product launches, and cannabis events in 2019. Final rules give cannabis business operators increased certainty. That’s good because uncertainty has been the death of thousands of businesses. Local opposition to licensing has already killed more minority-owned and small businesses than any equity program will ever save, Hua notes. We’ll likely see more investors who’ve been waiting on the sidelines now jump in to better capitalize existing business and create new ones. Rules will be stable from one legislative cycle to the next, and with certainty comes collaboration. “We’re seeing lots of opportunities now, looking at how things are done collaboratively across the supply chain,” Hua said. Different kinds of businesses, from family shops and small farmers to the existing medical cannabis companies, will have the right to work in the industry of recreational marijuana if voters pass a legalization initiative this year. On Nov. 8, Californians will get a chance to vote for the legalization of recreational cannabis, but the police and prison guard groups are raising money to oppose this ballot measure.